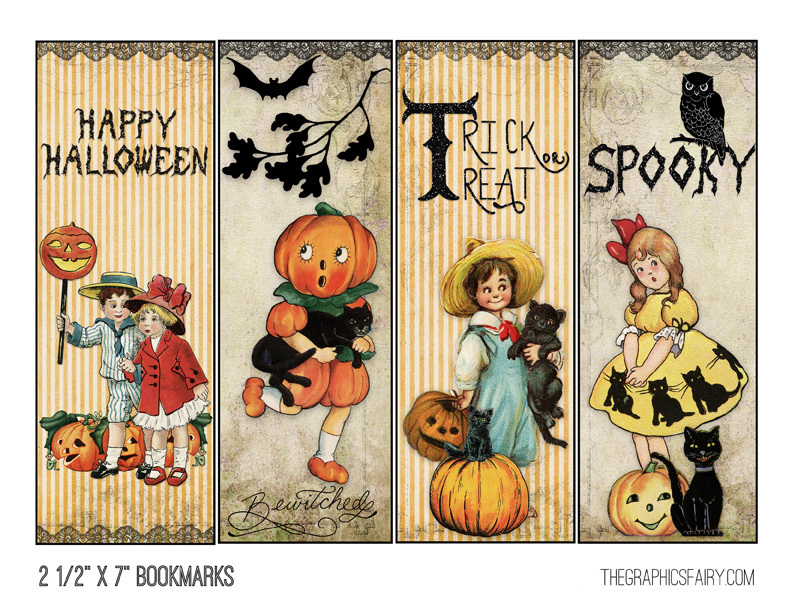 Printable Halloween Tags & Bookmarks – So Cute! Hi Everyone, we have some super fun stuff for you today, just in time for Halloween! These adorable Halloween Printables were created by Kate from The French Heart, who has just recently joined our Design Team! Yay! 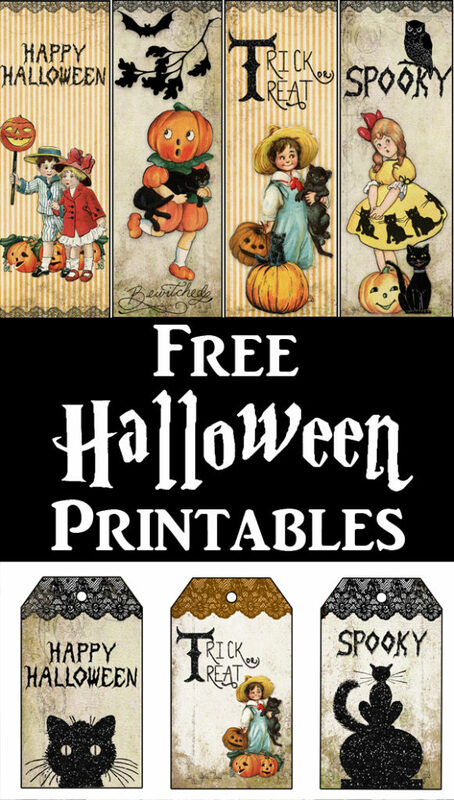 Featured below are 3 different sets of Printables that will add some cute Vintage flair to your Halloween Decor and add a smile to your Trick or Treater’s faces. These are great for kids as they are not too scary, but grown ups may like them too. 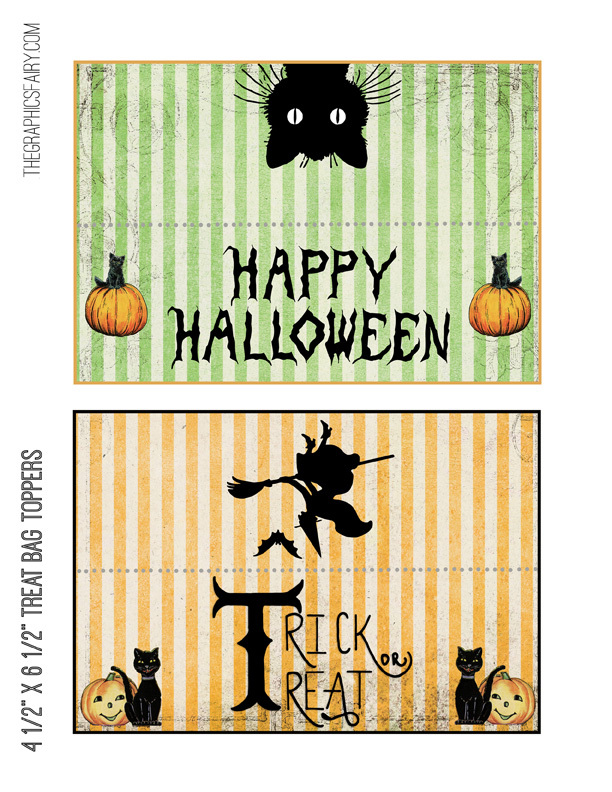 Included are a set of Printable Halloween Tags, Bookmarks and Treat Bag Toppers. Make sure you click the Purple Download Button under each one, to get the High Resolution Download. Our first freebie are these darling Printable Halloween Tags! You could attach these to small bags of Candy (or Healthy treats) or use them as a gift tag on a little gift. I think they would make cute Wine Glass charms too, at a Halloween Party, to keep everyone’s drinks straight. 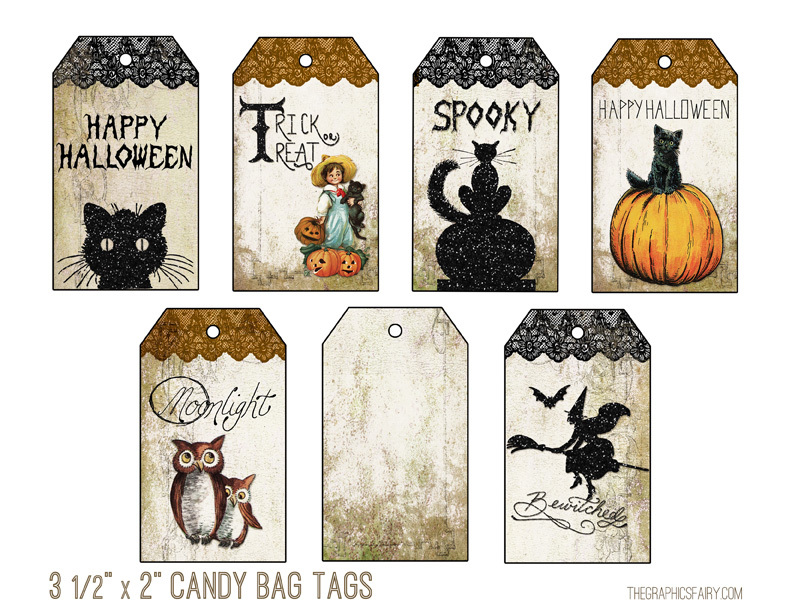 There are 6 different tag designs here, plus a blank distressed tag that you can use to create your own designs with. You could rubber stamp it, collage it, or use it however you like. Aren’t these just so fun?! These cute little Halloween Printable Bookmarks are just right for giving out in place of treats, as some kids have allergies and can’t eat candy. If you are taking part in the Teal Pumpkin Project this year, these would make a nice little hand out. You could print these out on card stock and then embellish them if you like, with a small tassel, or some glitter. And you could laminate them as well, to make them more durable. There are four different, not too spooky designs, on this print out. These cute Printable Treat Bag Toppers are great for stapling to the top of clear bags to give them some Festive Fall flair. You can place Candy, Snacks or Healthy treats in the bag. It would be fun to include one of these in a school lunch to surprise young family members. I love the smile on the Black Cats and Pumpkins faces, they look like they are ready for some treats! This print features 2 different Halloween designs. You can check out Kate’s Etsy Shop HERE to see more of her work. 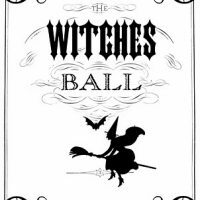 Vintage Halloween Printable – The Witches Ball Halloween Printable Garland and Project – Boo Vintage Peach Roses in Wooden Wheelbarrow Image! « Cute Retro Squirrel in Gloves and Jacket Image! Ha ha, love it Ike 🙂 Thanks, I am happy you like them! So much beautiful detail in all of these. Bag toppers are awesome too! Thanks Maria! Kate also did the printables on the most recent Steampunk Kit over on the membership site. Thank you so much, they are wonderful! Thank-you for the awesome Halloween printables!! Detailed and beautiful images. Thank you – I absolutely love these vintage images – have no use for them, but love them and thank you for sharing them. These are fantastic! 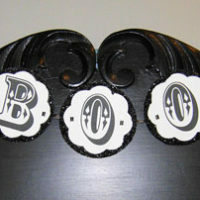 I downloaded the tags and bookmarks – I will be using them for our Hallowe’en party on the 27th. Thank you so much for sharing these with us! Oh yea, so glad they will be useful Irene, good luck with the party!